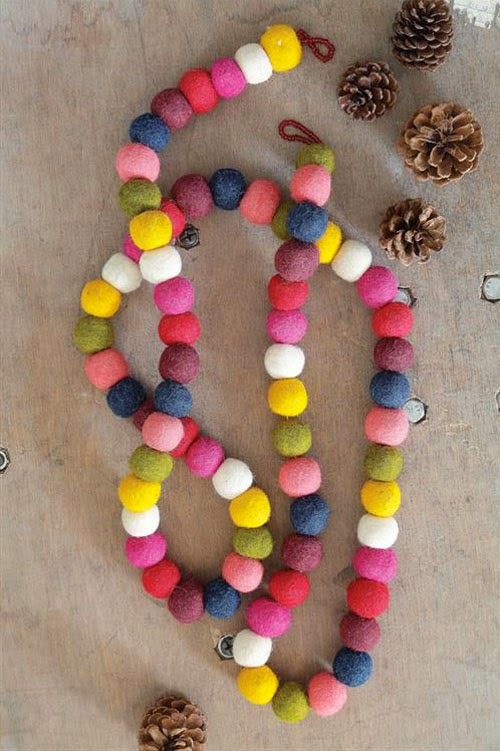 looking for our modern felted wool christmas garland? want to give your christmas tree a modern touch? with our colorful garland fashioned from felted wool; you do not need to look any further. this modern garland features attractive colored ball ornaments for a festive display. unique and highly decorative; hang garland from tree, wall or mantel. the garland's warm colors provide a distinctive and cheerful touch to any holiday decor. each garland measures about 72 inches long.